Healthcare is vital. It is sad though, that many are deprived of it in our country. A formidable industry, healthcare is dependent on technology for its day to day operations. Today, with groundbreaking innovations in modern techniques and procedures for treatment, as well as breakthroughs in modern medicine, technology and healthcare have amalgamated in a way that is bound to shape healthcare in the future. It is easy, however, to overlook the underlying infrastructure. Healthcare professionals sometimes fail to realize that they can significantly improve the quality of healthcare by way of leveraging robust, dependable and scalable EMR systems. The explosive growth in medical data, calls for the requirement of a robust infrastructure that can properly support this growth. It is advisable to outsource data centre operations to a provider. This helps reduce costs, improves productivity, and initiate holistic growth. Customisation:- Dedicated servers allow you to use your choice of software. Instal any core software and any base software. When you know which softwares to instal, you begin to optimize the server usage. This is important in healthcare because servers are key to keeping important data safeguarded. Security:- There is no sharing server, so no spam websites that instal malicious scripts can sneak into your server. As an administrator, you can instal security softwares, firewalls, anti-spyware, etc. In healthcare, security is paramount. Important information w.r.t. prescription drugs as well as patient information is stored. Varied Features:- Free Unique Web addresses, premium control panels, spam reduction, e-commerce enabling, these are just some of the features that Dedicated Hosting Services offer. In healthcare, it is vital to have complete control, as well as proper protection against hackers and malware. When it comes to Dedicated Hosting Services for healthcare in India, CtrlS provides the most comprehensive package. Choose from between power dedicated servers, value servers, mass storage servers, etc, with their own different cores, tailor-made to suit various kinds of applications. Migrating to the cloud has never been easier! Now, the server can be instaled and made operational without any problems. Plus you get zero downtime. A dedicated server can take your website to a whole new level. As a player in the healthcare industry it is paramount that your data and information remains secure and safeguarded against threats. Which is why, CtrlS, a certified Tier-4 Datacenter, with 99.9995% Uptime, guarantees safety of your important information. Hardware is top notch, from HP and Dell. No stone is left unturned. Which is why major healthcare players depend on us for their Dedicated Hosting Services. 24X7 support means each of your query is answered, including doubts on what configuration is best for your enterprise! This entry was posted in Data Center Services and tagged cloud, cloud hosting, dedicated on December 13, 2016 by admin. In data centers tier classifications are established based on site topology which drives performance of the actual site. Tier classification is based on the combination of design topology and site location. Tiered data centers have their own characteristics and advantages. However, in addition to the advantages with each tier class, operational sustainability of the data center is critical to ensure availability and reliability. In simple terms a data center implies a central repository for servers, storage, management and dissemination of information. Data center is an infrastructure facility to provide computing capabilities, storage and networking. The services offered by data centers are data storage, redundant data communications, and other security devices. Data centers offers the physical or virtual infrastructure services for companies to house computers, servers and networking systems and components for the company’s IT requirements. The original idea of data center began as a private server room in a company connecting user computers to the server and running applications on the server for access by users. In earlier days the organization was responsible for maintenance of servers, storage, and networking components and this required many IT personnel to manage the facility. Even today large organizations maintain their in-house or internal data centers and are able to maintain service levels at a high cost. As business and data grows constantly, in house data centers face the challenge of constant hardware and infrastructure upgrades. To overcome this challenge third party data center service providers offer IT resources for clients (companies and organizations) for use in their business operations. Many business enterprise organizations are hiring services from third party data centers, such as cloud computing. Hence, we can understand that a data center requires huge server farms, storage arrays and networks and redundant telecommunications network and components to cater to the various needs of different types of organizations. Data centers to ensure reliability in services without any disruptions from the perspective of the user. Data center performance and benchmark standards were developed by Telecommunications Industry Association (TIA) in 2005. This is known as TIA-942 was first such standard to address data center infrastructure, particularly in the design and development process. TIA is accredited with ANSI and has over 600 members globally. TIA provides necessary enhancements for organizations involved in telecommunications, broadband, cellular and wireless services, IT, networks, satellite communications, unified communications and environment friendly technology. TIA-942 standards for data center performance and reliability is based on evaluations on general redundancy and availability of data center in its topology. The design aspects include site space and cabling infrastructure for tiered reliability along with environmental considerations. In order to maximize efficiency and uptime in data centers, Uptime Institute Inc., a consortium of companies provided a tiered classification system for data centers. Uptime’s tiered classification is an industry standard for site infrastructure design and uptime of data center. There are four tiers (Tier 1 to Tier 4) explained by Uptime Institute related to the performance of the data center, investment and Return On Investment (ROI). Tier classifications are derived based on performance of actual site availability and by combining design topology and site location. The data center tiers and their characteristics are mentioned below to show the service availability for each tier. Enables planned activity (such as scheduled preventative maintenance) without disrupting computer hardware operation. Unplanned activities can still cause disruption. Despite the advantages offered by each tier classification, operational sustainability plays a significant role in site availability which is ensured in tier 4 data centers. Tier 4 data centers are designed to provide continuous availability of services with reliability. This entry was posted in Data Center Services and tagged tier 4 data center on March 16, 2015 by admin. ‘Do we need a Tier 4 Datacenter in India’? One of my new ‘Techie’ colleagues, an Engineer from a premier college, asked me this question during the course of one of our discussions and I laughed it off and let him go. But internally I was deeply amazed and shocked to understand the technological illiteracy of our ‘educated engineers’ generated by our present institutes. The very next week I purposefully went to his house with a relaxed mind and asked him the basis of his question. Though he was surprised with me retrieving our casual conversation (‘casual’ in his perspective) was elaborative in putting forward his thoughts/questions. Why does a developing country (where the DC industry is still in its nascent stage) like India need a Tier 4 DC? Does the Indian environment, resources & government complement/contradict this initiative? Does a Tier 4 DC address all the present and futuristic concerns/requirements of the related industries? Would it generate the targeted amount of technological curiosity, interest, business and in due course ‘DC Market’? Would this be a good business proposition for a bold Entrepreneur? Going by the fact that a DC would be obsolete after 8 years, would it be a cost effective enterprise? After listening to all his questions, I could comprehend that even after a decade, the expanding knowledge & activities of DC industry hasn’t been still able to drive out completely the ignorance lurking in the minds of our young DC industrialists & potential clients. In this context, I could recollect and share with my friend my childhood memories wherein my grandfather used to save his money in his pillows and his bed covers. Even after the advent & growth of the banking sector, it took considerable number of years for him and even for my father to understand the need of the banking set up and its importance and the security, safety and other value added benefits it offered. Somehow I could relate the same with the present status of the DC market with the only change in scenario that we were now operating in a post liberalization era. I took up the responsibility of presenting the entire picture, status & progress of the DC industry and the rationale behind the necessity for a Tier4 DC in India. I was happy to know that my friend was aware of the fact that the economic, political and social environment in India was keen on enhancing Indian research capabilities and make ourselves self reliant in the field of technological research, development and infrastructure. Since my friend was a Techie and had been working with us over a month it was relatively easy for me to reiterate that a Tier 4 DC strongly differentiates itself from a Tier 3 with the ‘Redundancy’ feature —– which offers exclusive ‘Backup’ facilities only in a Tier 4 set up. I added on to my flow of conversation with my bold talk that ‘Calculated risk taking’ is what differentiates a Leader from a follower and if one had to create a market then he needs to have the right vision, put in the necessary effort to plough, seed, manure and water the market & then work patiently to reap the harvest. For his better understanding, I then proceeded to highlight few among the 1800 parameters a DC is checked upon for Tier 4 certification. I knew that the adage ‘Seeing is believing’ is widely rampant and guided him to the related link http://www.ctrls.in/datacenter.php for him to check upon the below mentioned features of India’s first and Asia’s largest Tier 4 Datacenter, CtrlS. 448 Bit military strength Protection. Encryption at an average of 1 billion guesses per second. Floor underneath has ‘Moisture sensitive’ sensors with instant cooling effects. Zone 1 security: crash proof compound wall to withstand an impact of ten ton truck collision at 80 Km/hr. He gave me a ‘five’ after going through this simple 5.45 minute CtrlS DC tour & I didn’t find the necessity for his oral endorsement to my views. We ended up our techie conversation over a cup of tea with a strong conviction that if ‘business continuity’ &’ IT security’ were to be one’s need, Tier 4 Datacenters are here to address this need. Come, Host in India at CtrlS Datacenters for a Latency Free Website Speed. This entry was posted in Data Center Services on September 2, 2014 by admin. Total Ownership in the DC industry! 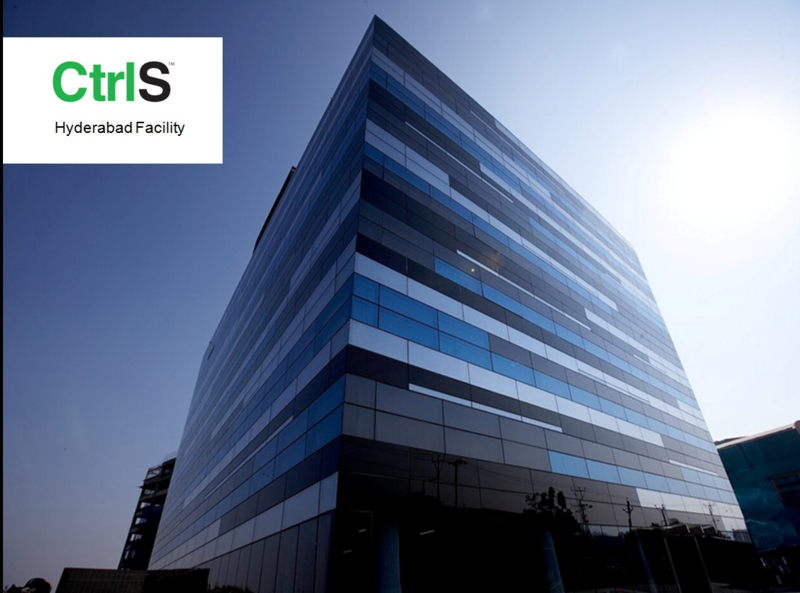 After careful study, observation and analysis of the Data Center market and the functioning of its major players, we at CtrlS have understood how challenging it is to assume and practice the role & responsibility of ‘Total ownership’ towards Self, products, services & most important of all, our Clients. Having decided to position ourselves as the pioneers of this industry, we were audacious enough to accept this challenge. So right from the embryonic stage of the birth of CtrlS, we decided to genetically nurture our each and every cell with the warmth of this belief and be totally responsible for our people, products, services and be reflecting so to our Clients / potential Clients. We know that ‘Trust’ forms the basis of all relationships whether professional/personal and more so for the players of this industry who base their fulcrum of ‘infrastructure ingredients’ outside their circle of influence for their business success & continuity. This resulted in the below mentioned conscious decisions being taken with regards to our organizational structure & functioning. Team: We formed a team of ‘Specialists experienced in managing IT Infra business’ because we understood that we had embarked on an industrial journey rather than a ‘Project’. Full Scale automation: Set up custom & purpose built automation of complete process cycle in place to ensure efficiency in a fixed cost environment. Tried and tested SOP’s: Fully tried and tested SOP’s for process adherence encoded in our DNA as a IT Infra business. Sharing Specialist experience: Update self with our Specialists’ experience and Specialist experience to pass on the same to our Clients. Committed ‘Expertise’: Cloud Capabilities ‘developed & offered’ as a Service provider and not as an aggregator with an outsourced model. Multiple redundancy networks: Catering to the unaddressed business requirement by ensuring highest levels of fault tolerance validated by ‘Zero’ instance of complete network outage in CtrlS history. Purpose built DC: Tier-4 DCs built ground-up for highest efficiency ratings in India & highest level of disaster protection. ‘Cost optimization’: Efficiency aimed & delivered across the spectrum with TCO benefits ranging from 20 to 40%. We are here to fulfill and exceed our ‘Client’s expectations’ rather than revolving around the ‘Product’ / ‘Service’ concept. Hence the involvement of ‘people’ becomes but mandatory in our endeavor to ensure a near 100% success rate. With this realization, our Team has churned & come up with our code of Organizational Values and ‘Work’ ethics. With these established Values & Ethics, we have targeted defined Organizational and Employee empowerment. 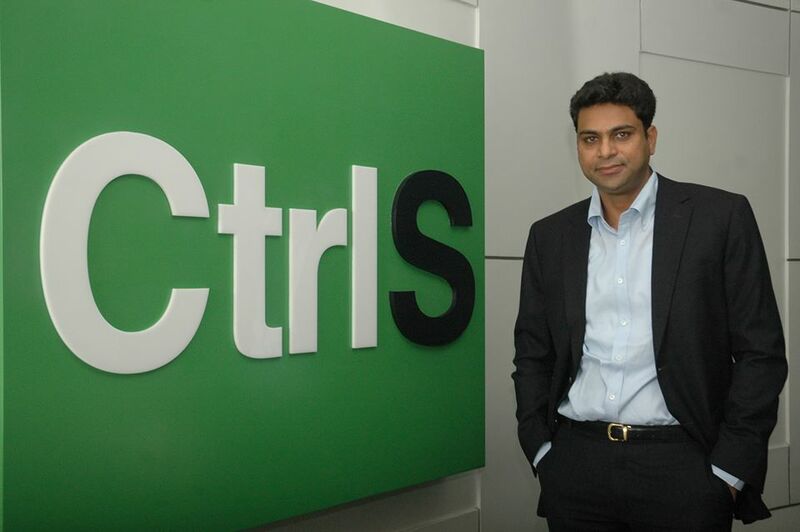 Trans Union, AZB & partners, AIRCEL, The Abraaj group, One Assist, emPay, NSEiT, EKYC are among few of our reputed Clients who have experienced the Total ownership of CtrlS. CtrlS has assigned itself the ‘total ownership’ to serve the deserving in the waiting. This entry was posted in Data Center Services on August 25, 2014 by admin. Post launch of our Cloud Product – Ctrl4C, CIO review magazine has covered it as “Product of the Month” in their May issue. It also features CtrlS in “20 Most promising Cloud Computing Product companies in India” listing positioned at number 2. With the advent of cloud computing many enterprises today are able to meet their hardware and software requirements with IT infrastructures hosted in huge data centers. Data centers have become an absolute necessity helping enterprises to not only reduce the hardware and software costs but also curtail the ever increasing operational costs. Hence there is no doubt in saying that the future of storage and processing lies in cloud computing and virtualization provided by these data centers. Aiding enterprises, carriers and hosting providers with power, flexibility and economics of cloud computing infrastructure is CtrlS Datacenters headquartered in Hyderabad. Founded by CEO Sridhar Pinnapureddy, in the year 2008, the IT infrastructure and managed hosting provider delivers infrastructure-on-demand services with automatic scaling of applications, thus exploiting the key benefits of cloud computing. Additionally, with a combination of highest uptime SLAs, low latency networks, 20 percent savings in energy consumption, CTRLS provides benefits to clients with improved business performance, cost effectiveness, and elimination of capital costs required for IT operations. This flexibility also includes security, cost stability, and enterprise-grade performance of a dedicated private datacenter. Based on these factors, the company offers its niche cloud products-CTRL4C and MyCloud. CtrlS, catering to the needs of businesses which wholly revolve around continuity, compliance, customization and control, build a cloud suite that has been built to combat the 4 ‘C’ factors that are key to effective business management. The Four Copy Cloud, CTRL4C is built on the practices mandated by NYSE and RBI for 100 percent data availability and accessibility by provisioning 2N+N network, making it disaster proof. Governed with unique features such as complete compliance and customization, the product offers complete control over IT operations. Thus, with Tier 4 DC offering 99.995 percent infrastructure uptime, it provides the very foundation of the 4C cloud. Moving on, the company aids enterprises who are on the lookout to harness the power of the RISC, by providing scalability and flexibility of a cloud infrastructure, through MyCloud. With MyCloud, companies get instant deployment of infrastructure for critical business applications or automation projects with ensured cost savings as MyCloud slash Cap-ex to zero. MyCloud also offers capacity on demand with any component mix, be it backup and storage or application and server hardware. In addition to Ctrl4C and MyCloud, the company further provides certain cloud services for each specific cloud domain, specifically, private cloud, real cloud and the enterprise cloud. In the Private cloud through its range of hypervisor platform, aids companies in meeting the hardware requirements which have been coupled with security and stability. While most customers fall behind in finances while adopting the private cloud, CtrlS, with its cost effective structure provides an advantage. The company further provides a multi-layered management model with its Real cloud, offering a choice in OS images, together with unmatched connectivity and near instant scalability. Companies hence put up and manage applications with ease. Finally, with Enterprise cloud a complete authority is provided to oversee collective resources with use on-demand. Thus, individual elements like memory and disk space are easily scaled and commissioned, making operations live on-demand. Even though customers benefit from the cloud, security issues are always at the back of their minds. CtrlS averts the concern with its 4C architecture by integrating a list of modules for compliance with an array of security measures. Offering security on a packaged basis (Silver, Gold, Platinum), the company’s security measures range from SSL Encryption, DDoS protection, Web Application Firewall to Host Based Intrusion Detection Systems. Additionally, the Gold and Platinum customers benefit from managed services aligned with the security operations center for proactive monitoring. Moving ahead, the company also boasts of expertise in DRM, through its Disaster Recovery on Demand and Zero Data Loss solutions. CtrlS aids enterprises to bounce back from a disaster, ensuring speedy recovery through its DR on Demand product. With individual IT disaster recovery plans coupled with pay-per-use solutions and negligible cap-ex on disaster facilities, CtrlS makes recovery simple and economical. Taking DR on Demand forward is Zero Data Loss, enabling safeguarding of data by surpassing the Security protocols setup by the Exchange Board of India (SEBI) recovery point for exchanges and depositories.“With CtrlS’s cost effective Zero Data Loss, you can have all the advantages of building your own infrastructure at the fraction of the cost and in almost no time,” says Pinnapureddy. CtrlS with its secure and fully redundant networks, offering 99.995 percent uptime with zero data loss proves to make a distinction from other competitors in its space. Certified as the Tier 4 datacenter and leveraging over with its 5 ‘9’s capable cloud, CtrlS further plans on building its 4C platform with added ‘control’ capabilities making it user friendly. By providing a rich API aligned with an external SLA management, user experience and provisioning systems, the company continues to offer security, cost stability and enterprise-grade performance creating a robust cloud infrastructure that guarantees success for the enterprise. This entry was posted in Cloud, Data Center Services, Managed Services and tagged cloud computing, datacenters, disaster recovery on demand, dr on-demand, enterprise cloud, managed hosting providers, private cloud, real cloud, tier 4 data center, zero data loss on May 22, 2014 by admin. Cloud computing services are basically provisioned in data centers. Organisations while planning to adopt cloud computing systems must ensure to evaluate the data center which provides the underling foundation and infrastructures for a cloud service model. Tier 4 standard data centers are ideal for clouds because they provide adequate redundancy and fault tolerance to ensure service uptime and zero data loss which is important for cloud service availability. Widespread interest in cloud computing systems among IT circles is fostering the evolution of different infrastructure models, service levels, and application platforms. Basically cloud computing is a model or infrastructure that provisions resources dynamically and makes them available as services over the internet. Cloud models and services can be accessed by organisations by availing resources as appropriate to satisfy their IT needs. Cloud service levels include Infrastructure as a service (IaaS), Platform as a service (PaaS) and Software as a service (SaaS). Cloud computing models are classified as three major types’ namely private clouds, public clouds and hybrid clouds. Cloud service infrastructures have the ability to scale up or down in terms of storage, compute, and network depending on usage. Organisations view the cloud as a viable alternative to outsource their entire IT infrastructure primarily due to cost savings in terms of capital and operational expenditure. Many organisations have adopted CtrlS cloud model(s) in their business operations and are able to realize business advantage. Cloud computing services are available with Data Centers (DC) in different variants to fulfill organizational business needs. An organisation planning for adopting cloud computing model for their IT operations must ensure to critically understand the architecture of DC from where cloud model is availed. These six areas must be considered by organisations from the perspective of cloud capabilities for continuous service availability and reliability. The above criteria are explained in a bit more detail to provide further understanding on existing cloud capabilities available with CtrlS Data Centers. The underlying infrastructure of DC plays an important role in cloud computing because when business grows the infrastructure has to accommodate increasing volumes of data and network traffic. The increasing surge in online transactions both by users and businesses require a cloud infrastructure to handle high volume data growth in terms of storage, network and processing. Most organisations have stringent policies on data privacy. CtrlS Data Centers offers private cloud models for businesses and organisations. Private cloud models offer fully secured data network with robust security features to protect information from falling into wrong hands. The cloud infrastructure is fully flexible, it allows users (organisations) to provision and monitor their resources themselves with automated metering service. CtrlS DC infrastructure is fully equipped to handle high volumes of data and perform complex processing on them without affecting efficiency and performance for users. Redundancy in DC is a measure of fault tolerance and also classifies the data center standard. DC standards are basically classified between Tier 1 to Tier 4 standards depending on their power capacities and their ability to quickly restore operations in the event of outage or in the event of component failure. CtrlS data center operations handle lot of mission critical data used by enterprise organizations. Hence the infrastructure cannot afford to experience any type of systems failure. CtrlS DC is built to fulfill Tier 4 standard where each component in the data center is provided with adequate backup components thus ensuring zero outage. Tier 4 data centers have the ability to respond automatically to any kind of failure or hardware malfunction. Hence failure on any one component does not affect other components in the infrastructure thus ensuring zero data loss and zero downtime. Organisations desiring to adopt cloud computing must check for redundancy in DC which has an effect on cloud service availability. Availability is a critical business need. Connectivity refers to the network connections on how the components are connected with each other to send and receive data in the DC. DCs are driven by consolidation, virtualization and adaptive architectures that enable flexible visions such as IT as a service, cloud computing and autonomic computing. I/O is a key differentiator because connectivity encompasses many components such as switches, routers, gateways and backbone networks and is measured in terms of throughput and bandwidth. CtrlS cloud models are virtualized to support Ethernet and Fiber channels while each virtual machine (VM) is viewed independently for its configuration. VMs are stored in centralized storage which separates the VM from a single physical server. In order to support multiple VMs in the data center the network infrastructure must provide reliable, flexible and secure data transport. CtrlS data centers are equipped with switching architectures to deliver low latency, throughput and high speed inter connects to support cloud models for efficient transport between servers, storage and end users. CtrlS DC is built on Tier 4 standards to ensure fault tolerance and provide guaranteed 99.99% data center uptime. This is an important Service Level Agreement (SLA) metric in terms of service availability and quality of service guarantee. SLAs are defined for the services available in cloud computing models. The user (organisation) may choose the right amount of resources in the cloud and adhere to the corresponding SLAs that define with each resource. For example, SLAs are defined specifically for resources such as storage space, backup, network bandwidth, number of VMs used, etc. SLAs that define security, data privacy, firewalls, uptime, etc are common to all users. The organisation must ensure to define SLAs to be specific, measurable, achievable and timely and most importantly there must be no room for any ambiguity for both cloud service provider and users. CtrlS SLAs are defined to revolve around performance metrics that meet business needs for users availing cloud services. CtrlS DC provide additional services and features that include different levels of security, firewalls and intrusion detection systems to mitigate any types of attacks and intrusions. This ensures the entire cloud model fully secure. Further users availing cloud models from CtrlS benefit from a wide range of services such as automated monitoring, UI for resource provisioning, zero downtime, zero CapEx (capital expenditure), etc. Tier 4 standards provide the much needed fault tolerance to ensure high availability at all times. Data centers are the foundation for clouds. They provide the underlying infrastructure for clouds to run. Data centers are built with thousands of servers, storage disks, switches, routers and other components to provide security, virtualization and application resilience. In a cloud models users normally look for scalability, reliability and service availability at all times. CtrlS cloud is available for enterprises either big or small. Organisations availing the cloud can benefit immensely in terms of speed and efficiency to generate business value. This entry was posted in Cloud, Data Center Services, Managed Services and tagged cloud computing, cloud computing services, cloud services, data center services on May 20, 2014 by admin. The Tier 4 Data Center is receiving accolades from some and being shrugged off by some as an unnecessary purchase. After examining the facts and the advantages of a Tier 4 Data Center over the other Tiers in the Tier Classification System, we can conclude that a Tier 4 Data Center indicates the most robustly designed data center. This being the case, a Tier 4 Data Center is of special significance in businesses, especially so when the nature of the business has high availability requirements. A Tier 4 Data Center indicates the most robustly designed data center. The debate on whether there is really a need for a Tier 4 Data Center still rages on. Some in the industry feel that there isn’t a real need for a Tier 4 Data Center and that the costs involved in the installation may not be worth the advantages of it. Before we discuss the significance of a Tier 4 Data Center and see why it would be a good choice for your business, let us get into what this Tier classification is all about. 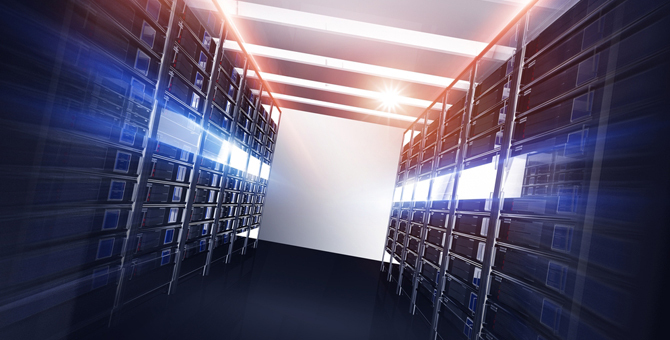 Over the past decades, much advancement has been made in the Data Center Industry. Considering the different design topologies and associated site availability metrics with regard to Data Centers, the need for the Tier Performance Standards was clearly visible. An analytical approach to evaluate the performance of a Data center became of increasing significance with the tremendous growth of the Data Center Industry. The surge of increase in the number of data centers and the correspondingly significant increase in internet business interests made it necessary to come up with clearly defined performance criteria to assess the efficiency of data centers and help businesses make an informed strategic choice. There are a number of approaches to the Tier system of Classification like the Ten Tier Classification and the 11 aspects of data center performance defined by the Syska Hennessy Group. However, the four tiered classification system of the Uptime Institute is considered to be the most reliable. Each level of the tier was established from the 60’s onward and each of them represents an increased level of performance. This being said, it is obvious that the highest Tier to be defined, which is the Tier 4, represents the highest level of performance. Of the many advantages provided by a Tier 4 Data Center, a significant feature is the Fault-tolerant functionality. This enables the site infrastructure to sustain unplanned failures that would otherwise adversely affect the critical load. Being fault tolerant, the computer equipment of a Tier 4 data center will not be impacted if there is a single failure of any distribution element or capacity component. The system will automatically respond to prevent further disaster on site. The Tier 4 Data Center also has multiple distribution paths which can serve the site’s computer equipment simultaneously. This was not a feature of the Tier 3 data center. The IT equipment will all be dual powered providing further backup. The site availability expectation of a Tier 4 data center is 0.4 hours and availability percentage is found to be 99.99%! This is of vital importance to businesses with high availability requirements. Industries which deal in market transactions, E-Commerce, financial settlements, and the sort most benefit from a Tier 4 data center. The Tier 4 data center has come to be known to be reliable and robust and represents the highest level of reliability, security and availability among all the Tiers which makes it the ideal choice for corporations. To reiterate, the significance of a Tier 4 Data center in corporations with high availability requirements cannot be underestimated. The Tier 4 classification indicates the most robustly designed data center to be found thus making a Tier 4 Data center the most obvious choice for corporations globally. This entry was posted in Data Center Services on March 3, 2014 by admin. On April 21, 2011, Amazon’s Elastic Compute Cloud (EC2) experienced a major outage at its data center in Virginia that brought down important websites including Foursquare, Springpad, Reddit, Quora, BigDoor and Hootsuite. The outage lasted from 5:00 am until the late afternoon that Thursday. However, many problems were not resolved until April 25. The EC2 crash made headlines worldwide because of the high number of important websites affected. However, it also served as both a wake-up call and a textbook example from which data center managers should learn from and prepare as the demand for data center continues to increase. Growth spawns increased risk. The data center industry is not immune from this fact as the Amazon EC2 example shows. However, risk can be managed, and future harm mitigated if the correct computing service delivery system is implemented. There are three categories: Software as a Service (SaaS), Platform as a Service (PaaS) and Infrastructure as a Service (IaaS). Each is different, and each has its strengths and weakness. SaaS is computing solution service that allows software to be deployed over the internet. The major advantages of SaaS are that it is very often user-friendly, and it allows internet access to popular commercial software. Software is usually managed in one central location. This central management relieves the end-user of the hassle of having to deal with software upgrades, patches, and dealing with application programming interfaces (APIs). The biggest disadvantage is that SaaS may not be adequate when an end-user requires extremely fast processing of real time data. Also, in cases where end-users need continuous modifications to their software and solution needs. There might also be concerns by end-users who are prohibited by law from hosting data externally. 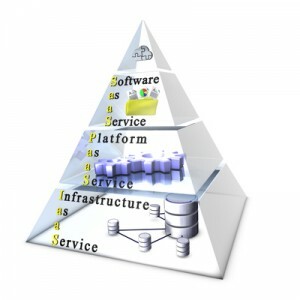 PaaS combines the benefits of SaaS but includes the added benefit of allowing software development. Not only is the software delivered over the internet, but end-users are given access to a platform for creating software. PaaS is perfect for end-users who need to have the ability of deploying software over the internet, but that also want a platform where a team can collaborate to develop or improve its existing software. The biggest disadvantage of PaaS is that certain end-users that develop software will not want to disclose or give access proprietary software language. Moreover, some end-users need applications that are highly portable or that will require changes of the underlying data center’s hardware and software. In these cases, PaaS might be inappropriate. IaaS offers a complete suite of on demand services to end-users including access to servers, storage, network and operating systems. It is the combined benefits SaaS and PaaS with an actual system. Some data center offer “public” IaaS where this computing infrastructure is offered over the internet to multiple end-users at a time. However, come data centers have a “private” IaaS that serve a private network for one end-user. IaaS is perfect for end-users that have recently gone into business and do not have the funds necessary to invest in computing infrastructure. It is also good for end-users that are experiencing rapid growth but that are uncertain if a capital investment is worth it as well as in cases where an enterprise needs to limit computing expenses. The biggest disadvantage of having an IaaS data center service model, whether private or public, is that there are constant regulatory changes that may prohibit end-users from outsourcing or storing data externally. One day your IaaS maybe flourishing, the next it has dried up because the end-users regulatory requires that store all of its data domestically. This entry was posted in Data Center Services and tagged data center, IaaS, PaaS, SaaS on December 30, 2013 by admin.